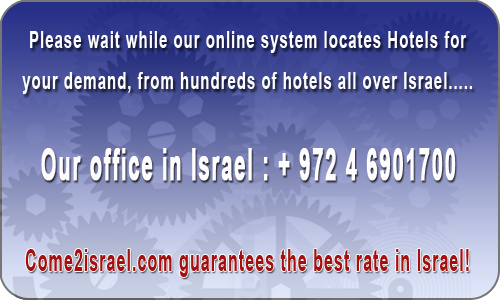 Last week Club Hotel Tiberius Israel had 571 viewers and 10 bookings. Tiberias Club Hotel lies on a mountain flank near by the city of Tiberias in front of the marvelous view of the Sea of Galilee and overlooking the Golan Heights. Tiberias Club Hotel offers a vivid family vacation in the summer resort of Tiberias. The hotel has provides a vacation in accessorized suites suitable for families, enjoying a marvelous view of Tiberias and various activities to the entire family, various attractions and tours at the Galil and Golan, providing the perfect family holiday near the Sea of Galilee.